This was my first time going to PMX, and my initial thought when I went in was “Where do I pick up my badge?” I wandered around the first floor looking for signs. I couldn’t find any, so I asked a staff member where registration was. He wasn’t exactly sure, but said I should go upstairs to look. Alas, upstairs was where all the signs were. Shortly after asking another couple of staff members, I found the press room. The regular badge pick up was on one end of the hotel, I assume to combat lines. I’m not sure what the lines were like on the first day, as I only went on Saturday, but there didn’t seem like very many people at the convention anyway. An interesting thing they had though was people walking around with boards that had schedules on the front and back socializing with random con-goers. I tried to get a shot of the billboard people but I was playing Smash at the time. The layout of the convention and planning was fantastic. Board and video games were in the basement in a wide area perfect for games. 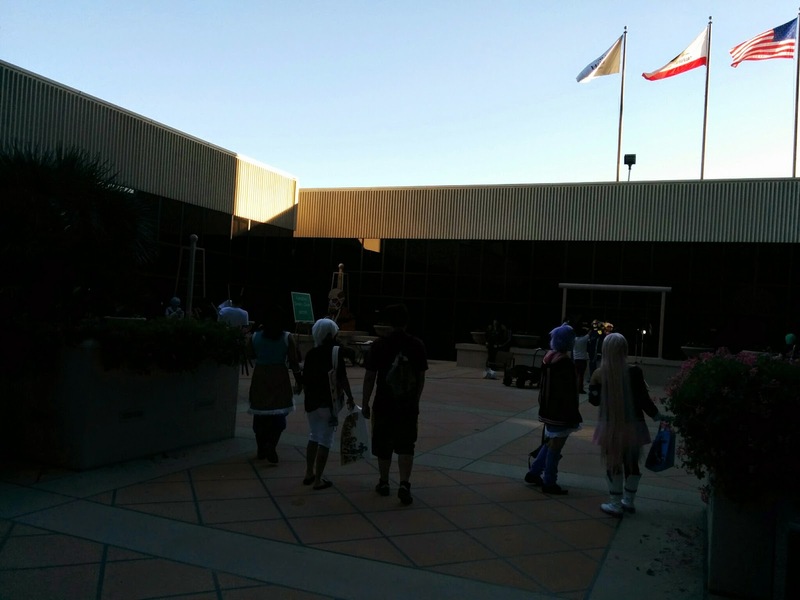 There were a few locations to do private photoshoots, though there weren’t sets like at Anime Expo. The Dealer’s Hall and Artist Alley were packed and full of vendors selling their goods. The Artist Alley was full of amazing art, various plushes and pins, but the area itself was kind of cramped. 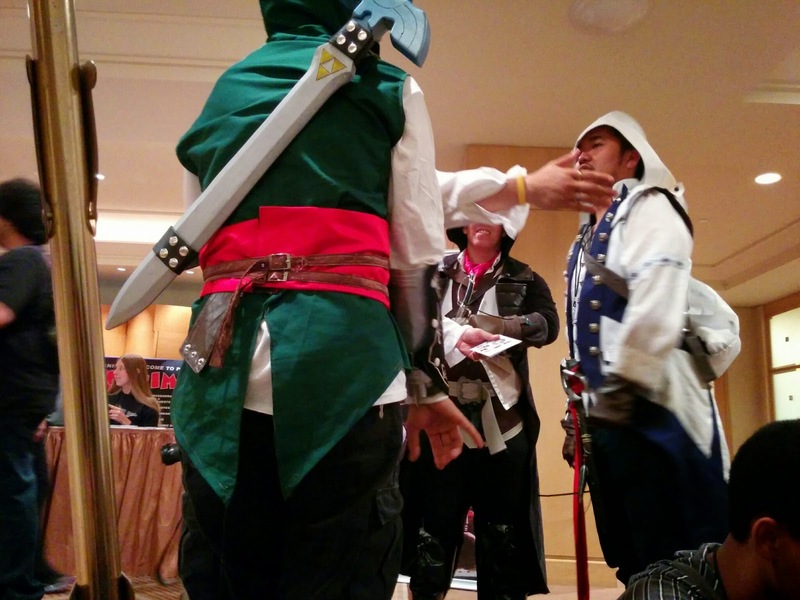 One thing PMX could do next year is move it to a larger room so people can walk without hitting each other. On the contrary, Dealer’s Hall had a bunch of space, and had a wide path for people to walk. It had the right amount of stalls for the size of the room. 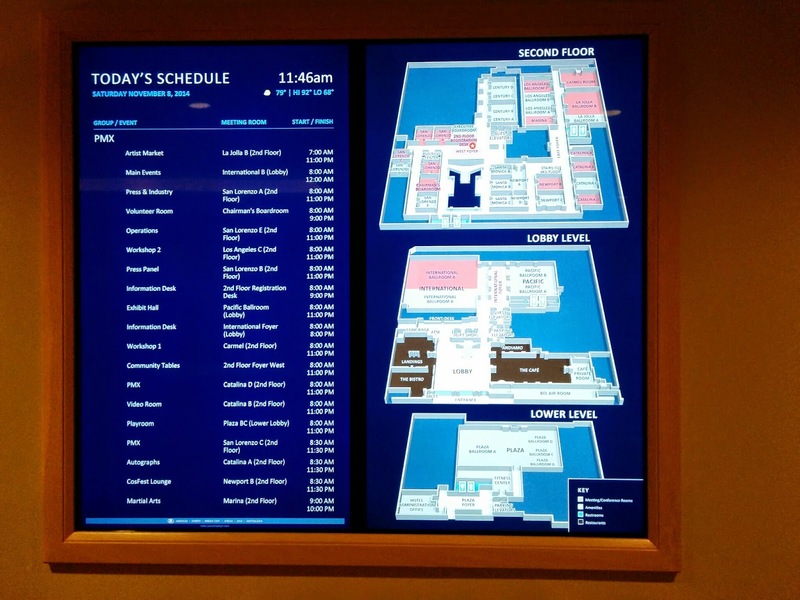 The convention took advantage of the Hilton's built in systems. Badly lit shot of the photoshoot area. By the time I was done exploring, there were no panels I was interested in attending, but it was lunch time. On the first floor there was a door leading out to food trucks, with the line inside so people could be in the air conditioning. I thought that was very considerate planning, because you also didn’t have to go outside to see how long the line was. I wound up going to Carl’s Jr. down the street because the line for the food trucks was kind of long. These really cool Assassins were roaming around. When I got back to the convention I wound up borrowing my friend’s 3DS and played the new Smash Bros game with a few other con goers. The game had just come out, and if you enjoyed Brawl, I would highly recommend playing the new one (granted you have the consoles). I wound up helping my friend with his photoshoot. Remarkably, in my 6 years of cosplaying I have never actually been part of a photoshoot. 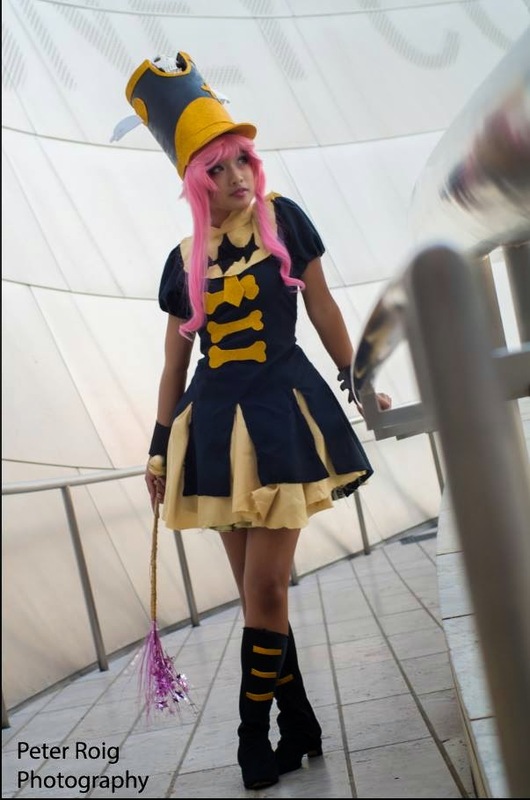 We wound up driving down to the Disney Concert Hall to shoot Nonon Jakuzure from Kill la Kill. Appropriate, right? I wasn’t sure we were allowed to be there, but as long as we didn’t get kicked out, who cares right? A security guard actually came up to us and informed us we couldn’t use reflectors, but we were welcome to continue shooting. Fair enough, I was happy we weren’t kicked out. There was someone shooting some sort of family gathering that we all awkwardly stood near as they were clearing out. Turns out when you’re dressed in cosplay and there’s a formal concert going on, people tend to stare. Even though I wasn’t the subject of the photoshoot, I thought it was a great first experience. Overall I thought PMX was okay. 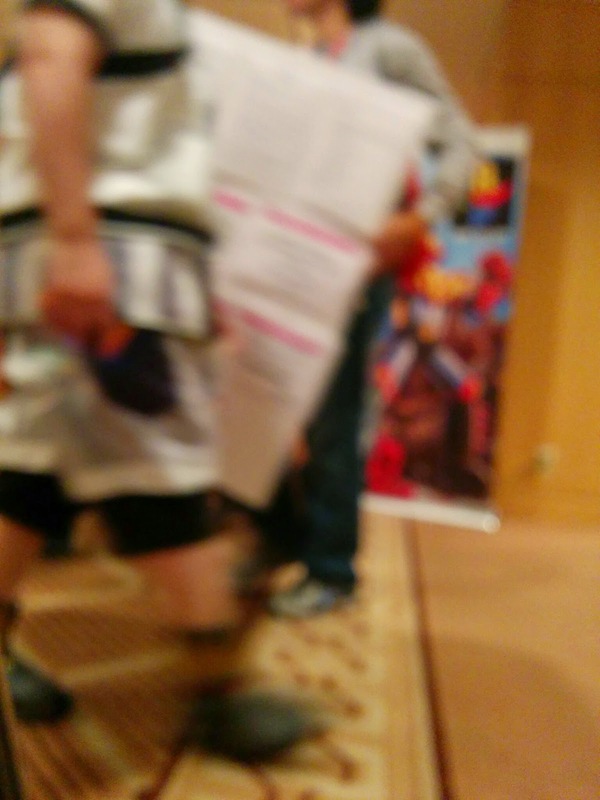 PMX had some good aspects that other conventions could learn, such as having people walk around with a board saying the schedule on it, but it could use a lot more organization layout wise. Personally I’m starting to get a little con-weary, and I’m starting to believe it’s because cosplay and conventions is becoming more popular. I’m not trying to sound like a hipster, but when it starts to become too mainstream you lose out on quality, and you get quantity.